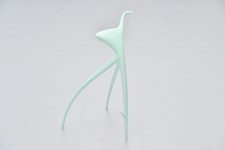 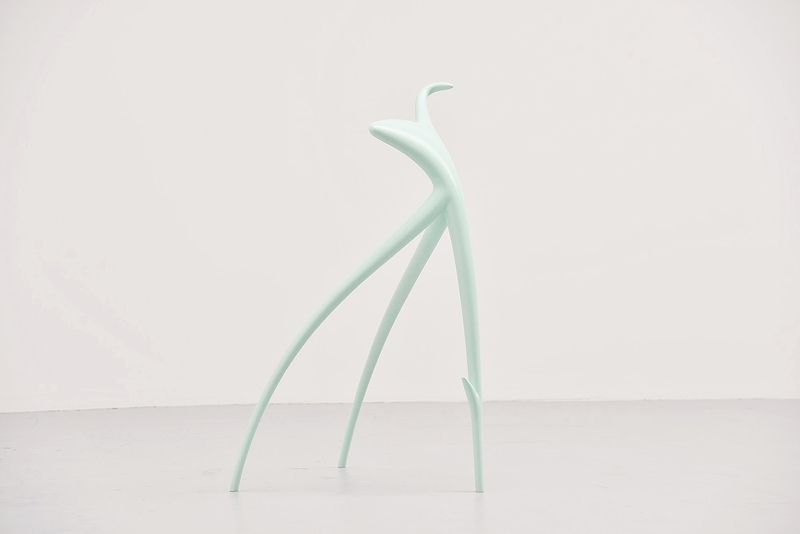 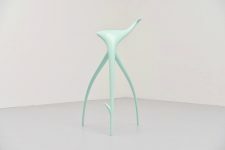 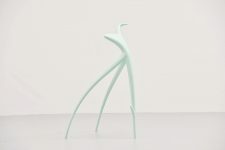 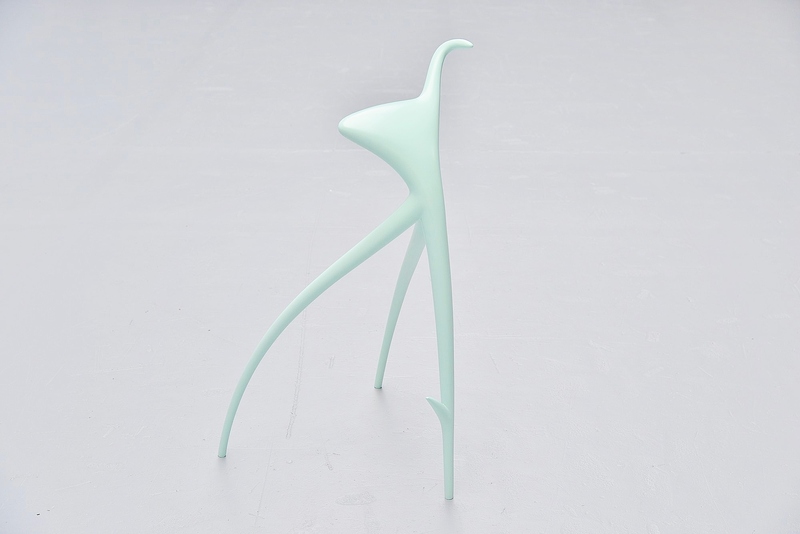 Beautiful sculptural stool designed by Philippe Starck, manufactured by Vitra Weil am Rhein Germany 1990. 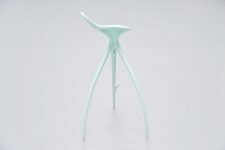 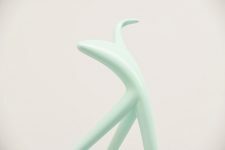 This solid aluminum stool is mint green coated. 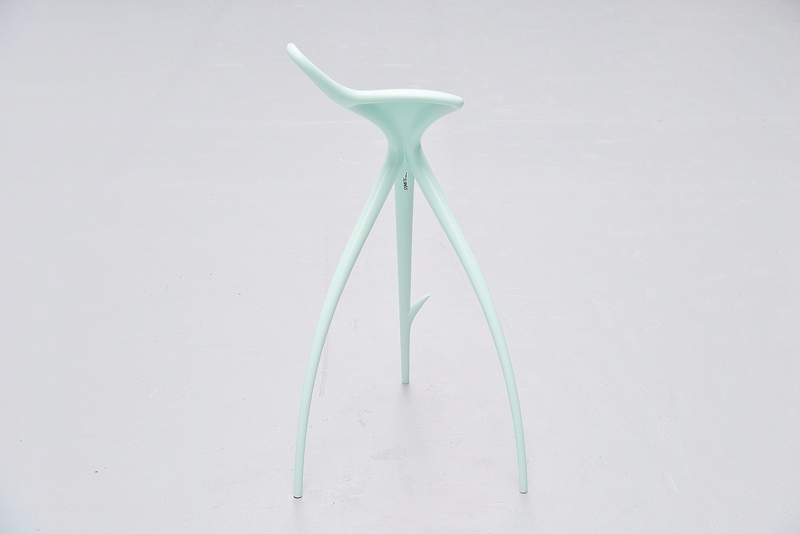 The stool is for sure one of the most iconic designs by Philippe Starck. The WW stool is part of an imaginative office which Starck designed for film director Wim Wenders in 1990. 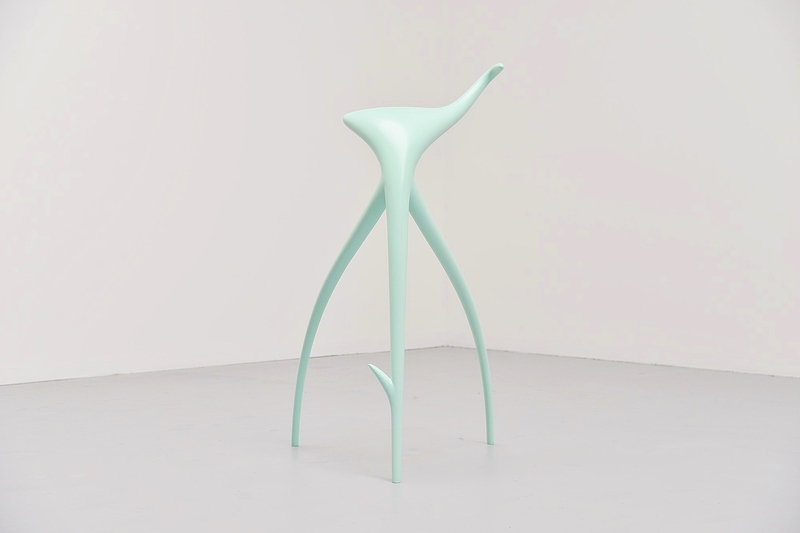 This stool is more a sculpture than an object to use, cause if I have to be really honest, this is not very comfortable seating. 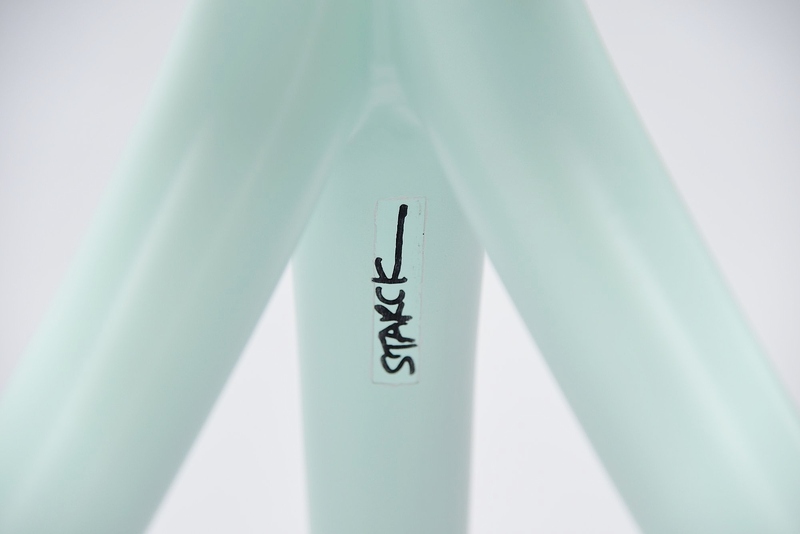 Rare collectors item and no longer in production.